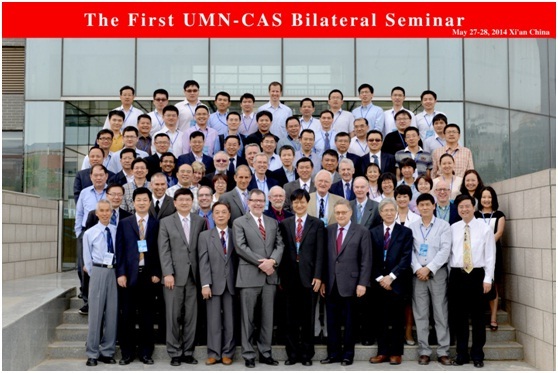 The first UMN-CAS Bilateral Seminar was successfully held in the new building of Institute of Earth Environment during 27-28 may 2014. More than 120 participants had taken part in the seminar. 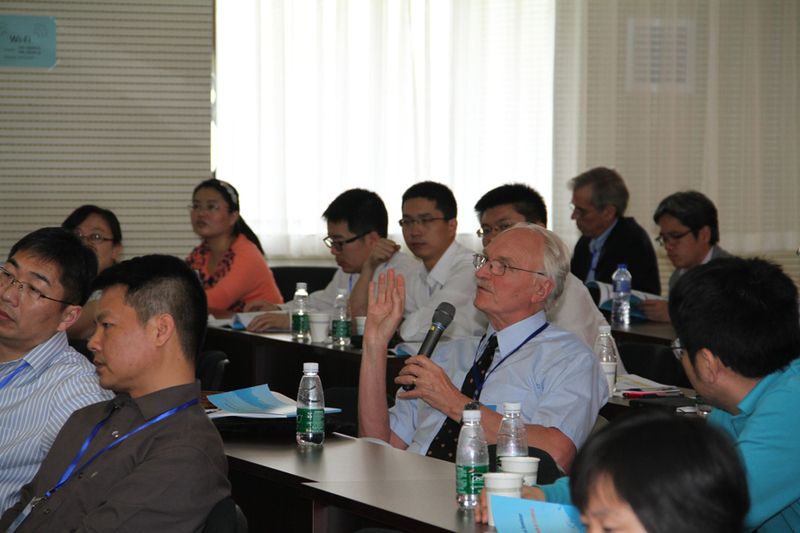 The seminar focused on “PM2.5 Science, Health Effects, and Control Technology”. President Eric Kaler, Dean Steven Crouch, Professor David Pui among more than 50 delegates from variety of institutions from America were part of the seminar. 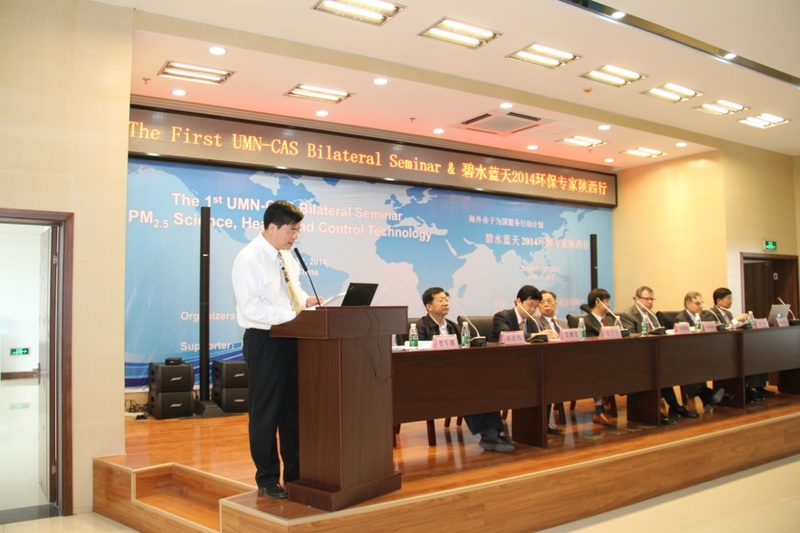 Jinghai Li, the vice president of CAS among experts from China also participated and given opening speech in the seminar. At the start of the seminar, Prof. Cao Junji, the director of Institute of Earth Environment as the organizer expressed his warm welcomes to everyone who attended the seminar. Li Jinghai the vice president of CAS also gave a speech on how he felt and hoped for this seminar, encouraged everyone to do their best in resolving China’s PM2.5 problems. President Eric Kaler showed everyone the strong bond between UMN and Chinese scholars, stated that it has been 100 years since UMN had their first Chinese student, and expressed how he would like to see more developments between the two. The seminar is composed of three groups, with 36 reports on different fields: “Science, Health and Control”. Each group discussed and had conclusions within their own field of research. At the end of the seminar the two main organizers Cao Junji and David Pui gave a speech to conclude the seminar. 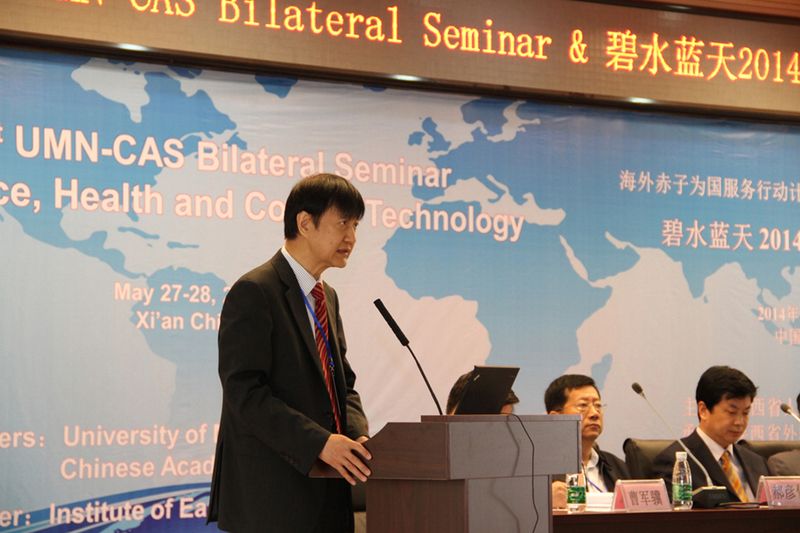 Prof. Pui also announced that the second UMN-CAS Bilateral Seminar will be held in Minnesota in May 2015, and warmly invited Chinese experts.